Out here, on this route, that was rare. But the sensors didn’t (so far as he knew) lie. Another craft had come up just behind him, external effects flaring, suspiciously close. He made the effort to respond. "TAB2, responding to suspicious tailgater," he sighed into his sleeve mic. "Tom. Glad I caught you out here," said an unfamiliar voice. "I wanted to be the first to tell you the news." 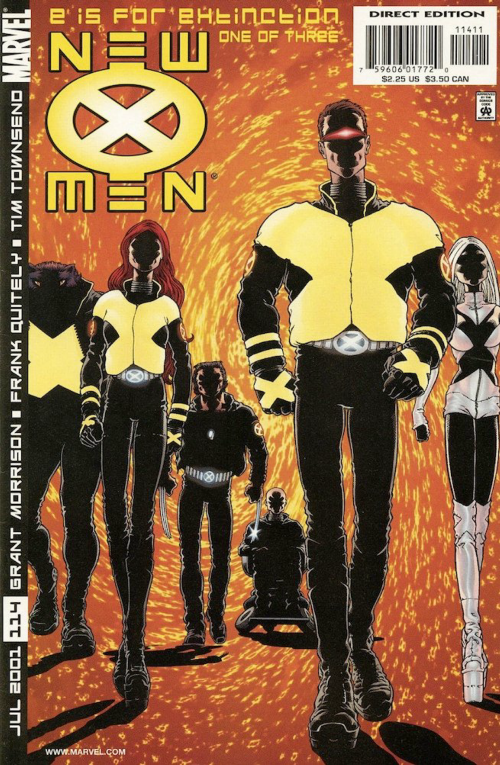 Grant Morrison was taking over as writer on NEW X-MEN. Tom ran a quick search through his long term file storage. No, this was unprecedented. He had to figured out how to turn his shuttle around. He wondered if he still owed money to the comic shop.